Email us or call (312) 724-8811 to reserve your Rotisserie Duck after booking your table. 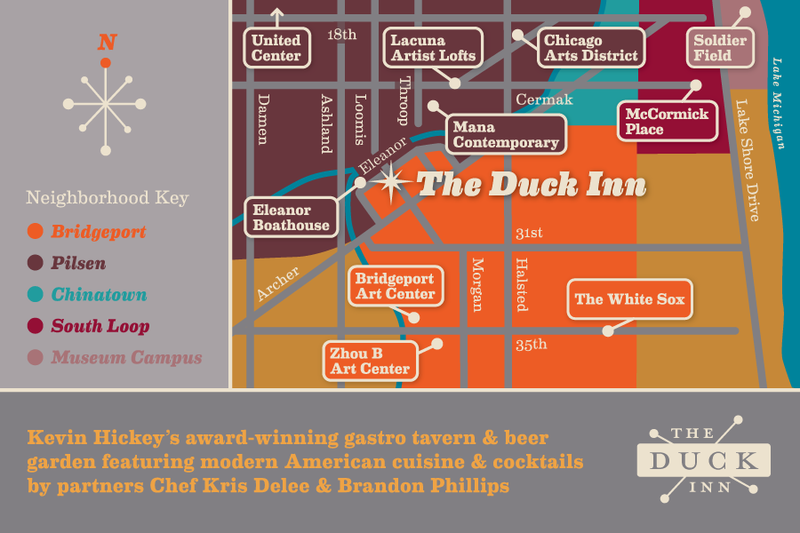 The Duck Inn is a neighborhood gastro-tavern and dining room, located at Loomis Street and the Chicago River, on the border of Chicago’s booming Pilsen and Bridgeport neighborhoods. It’s housed in a pre-Prohibition era tavern with a cozy retro design aesthetic that feels like home. 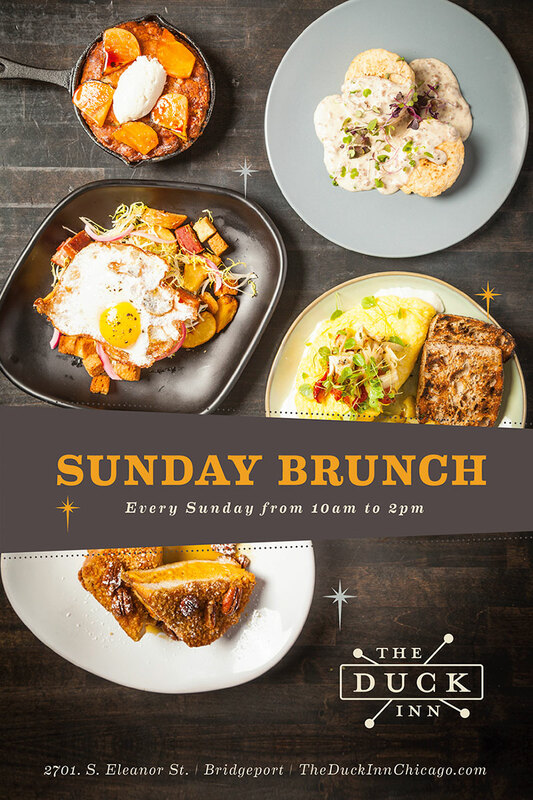 Email us for more info: contact@theduckinnchicago.com. Join us for our 5th Annual Easter Brunch on Sunday, April 21, from 10am - 2pm. 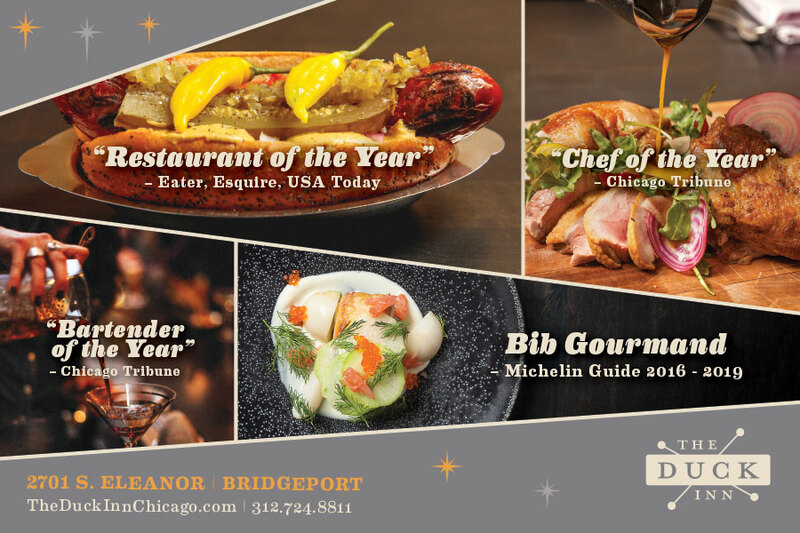 Call (312) 724-8811 to make reservations today! There's always something fun going on at The Duck Inn. Drop in Tuesday through Friday for our infamous Happy Hour. 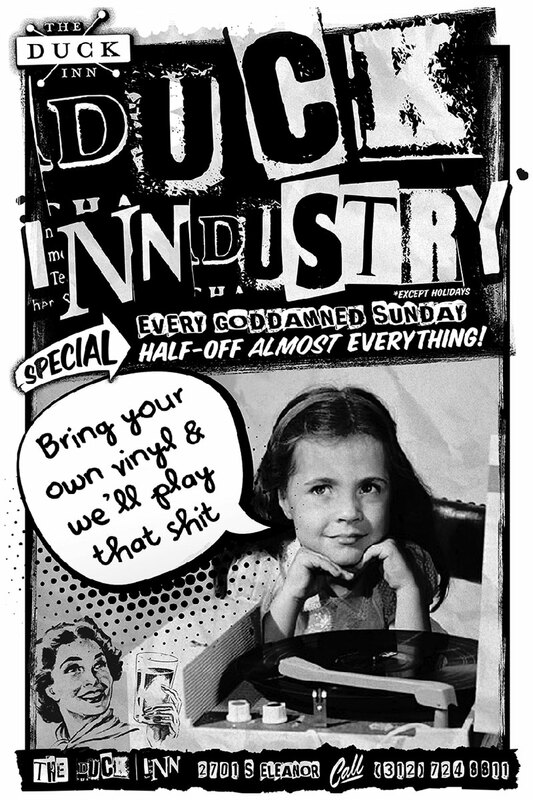 Or, bring in some of your prized vintage vinyl for us to play on our classic hi-fi console every Sunday and enjoy half-off almost everything at Duck InnDustry. Hot winter cocktails and classics. Premium wines and craft beers. Artisanal cheese and charcuterie, plus sweet treats. Call (312) 724-8811 or email chalet@theduckinnchicago.com for packages and reservations. 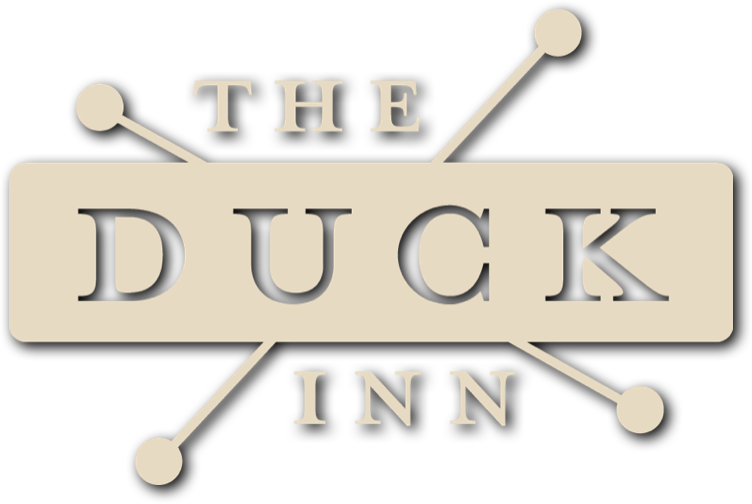 Drop in every Tuesday through Friday for Happy Hour at The Duck Inn bar and lounge. 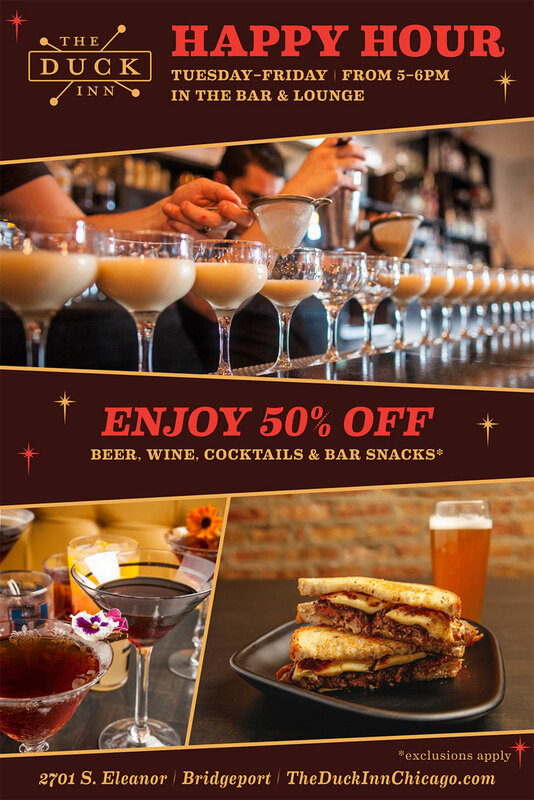 Enjoy half-price beer, wine, cocktails and bar snacks from 5 p.m. - 6 p.m.
Every Sunday from 10 a.m. to 2 p.m.
50% off almost everything for our industry and artist friends. Bring your own vinyl to play on our vintage record player. Drink specials, too! Order online for pickup or delivery via Caviar. Pick up a Gift Card at The Duck Inn or purchase one over the phone at (312) 724-8811.